I think I can speak for all of us when I say it was heartbreaking to see Domino Magazine leave the shelves. They teased us with limited editions last year and I think everyone purchased their home decor book. 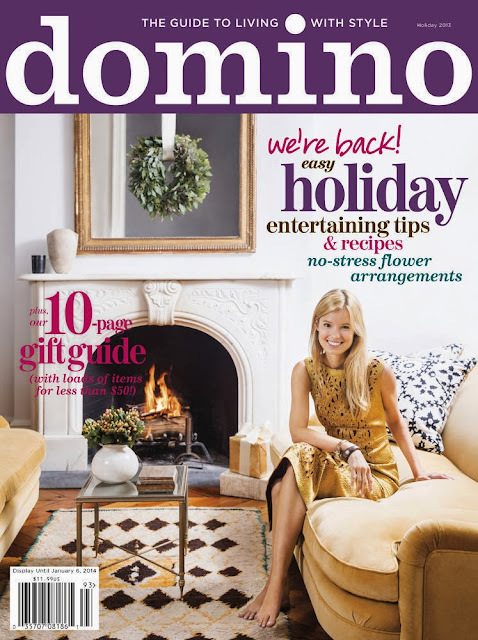 But get excited friends because Domino is back...quarterly...but I'll take it! I heard rumors that it was coming back but it wasn't until I read it over at Project Soiree that it was confirmed. The Domino site has some great inspiration for the time between issues. And so much more! I can't wait to pick up my copy. How about you?